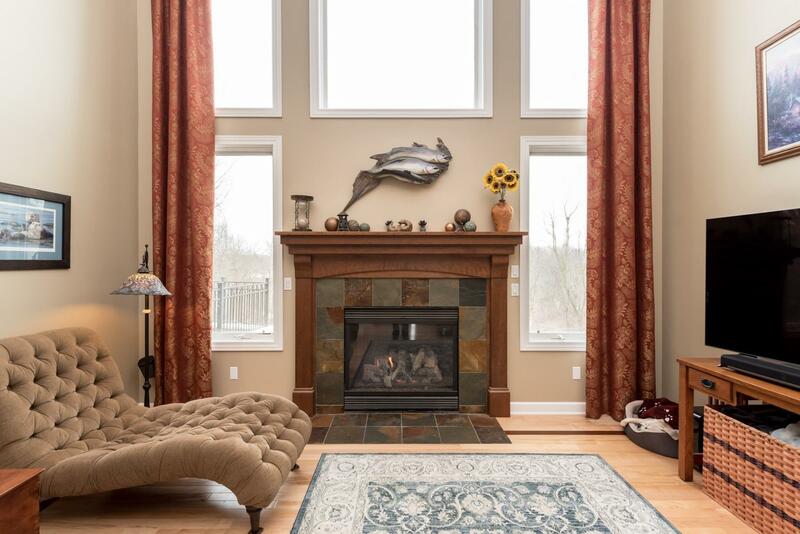 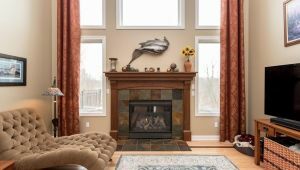 Welcome to this spectacular custom built Vita home, with first floor master, located in Dexter’s finest neighborhood-Fox Ridge! 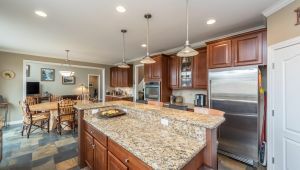 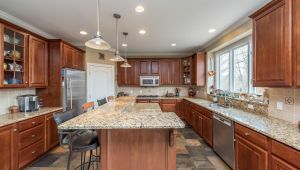 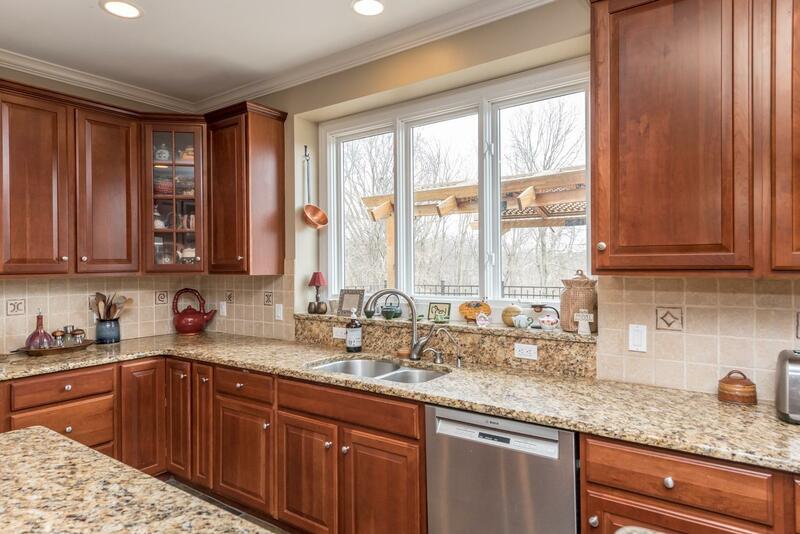 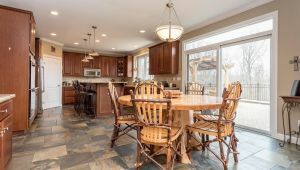 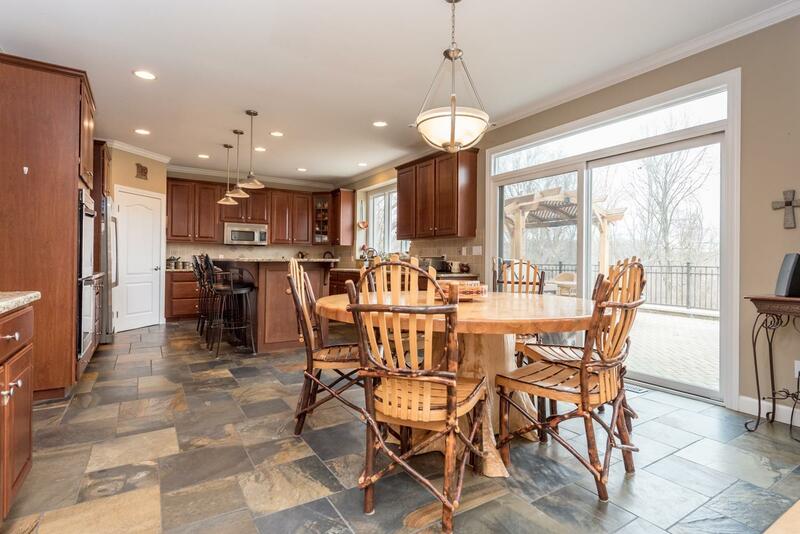 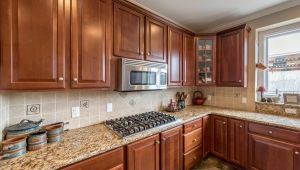 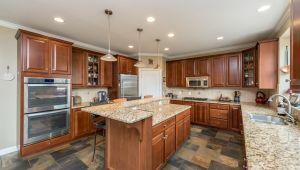 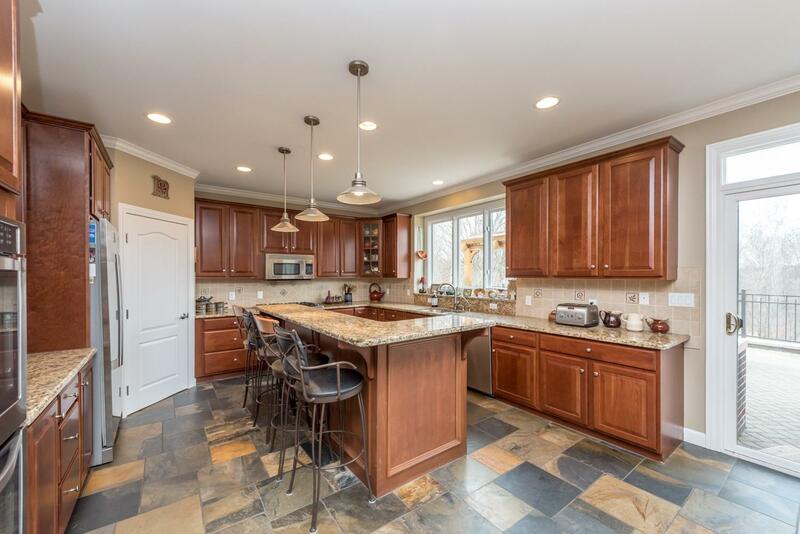 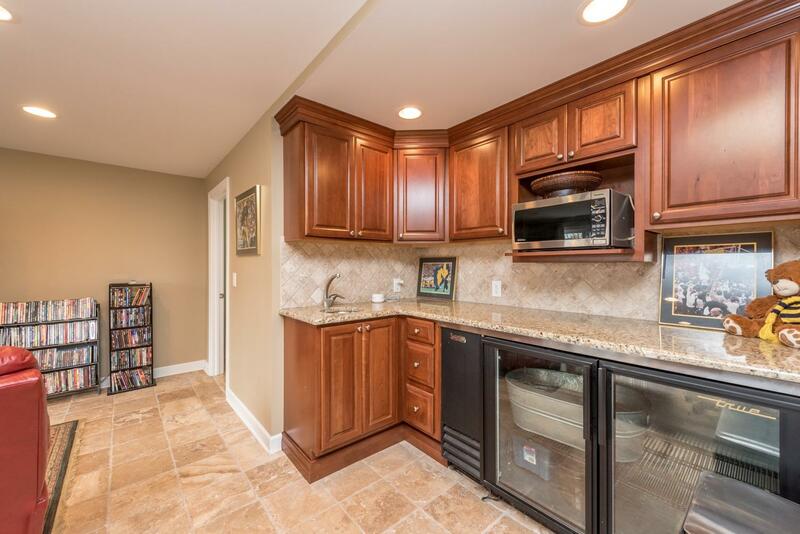 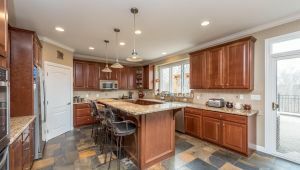 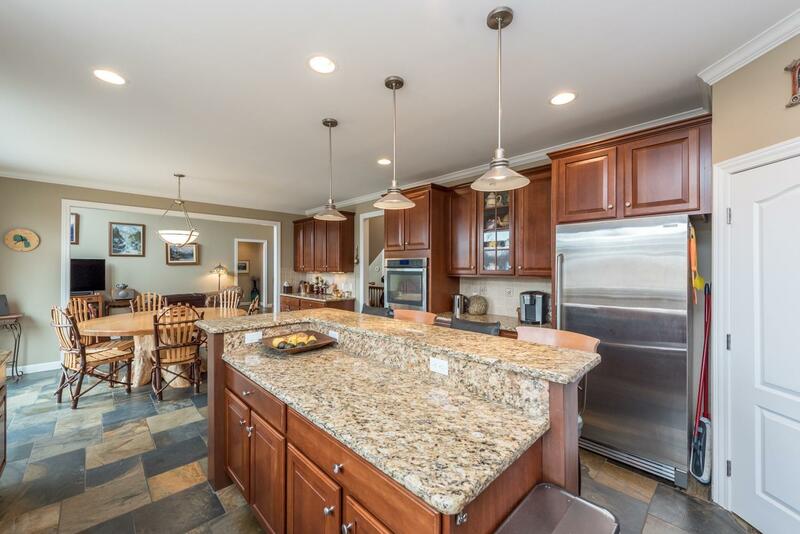 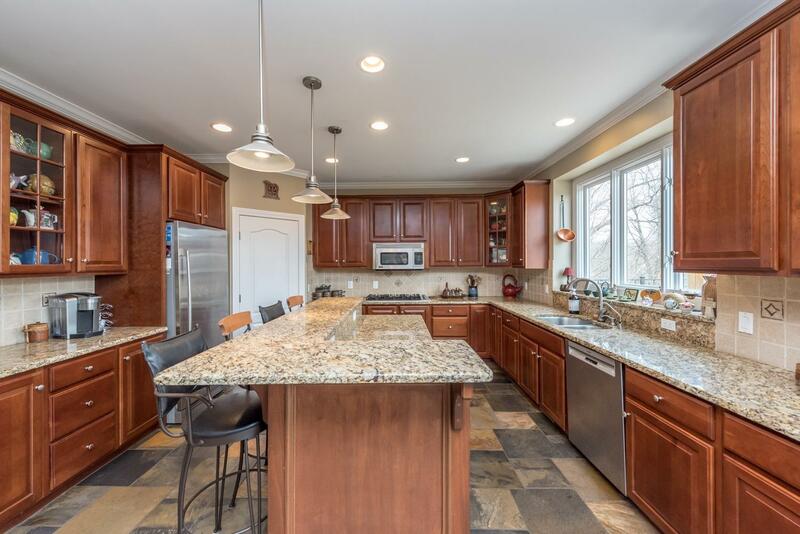 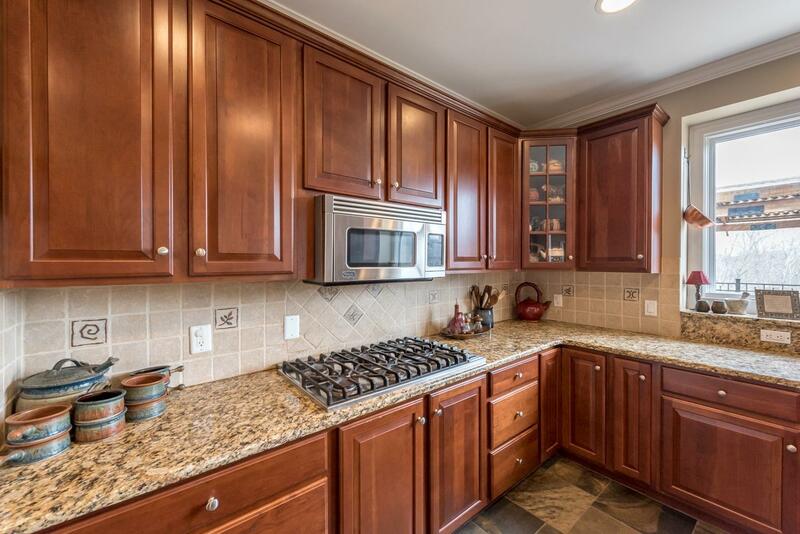 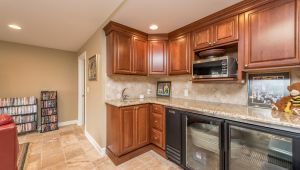 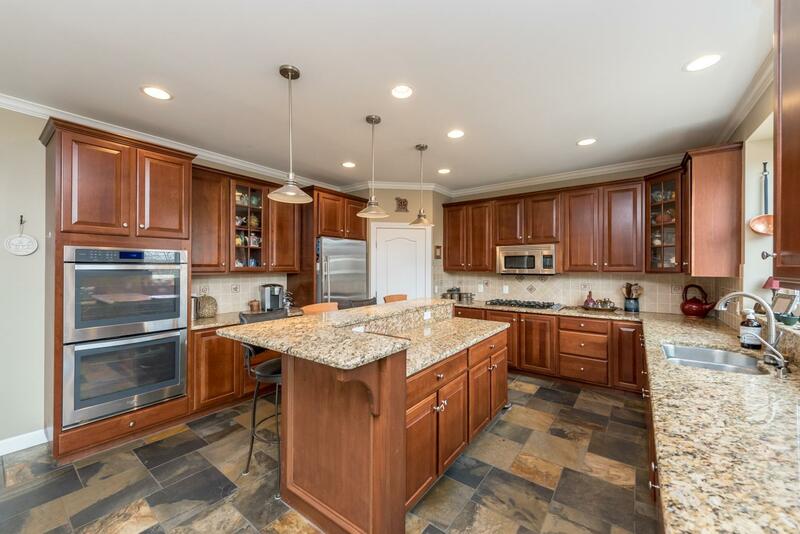 This home has everything you could imagine-gourmet style kitchen with ss appliances, granite, large center island with seating, and fabulous heated slate flooring. 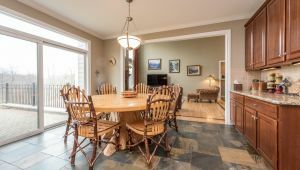 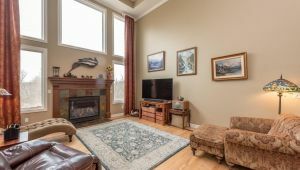 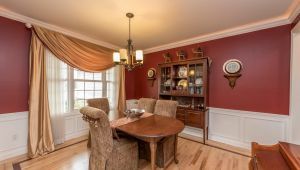 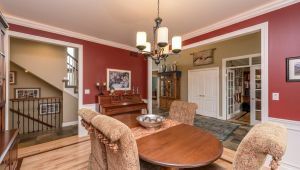 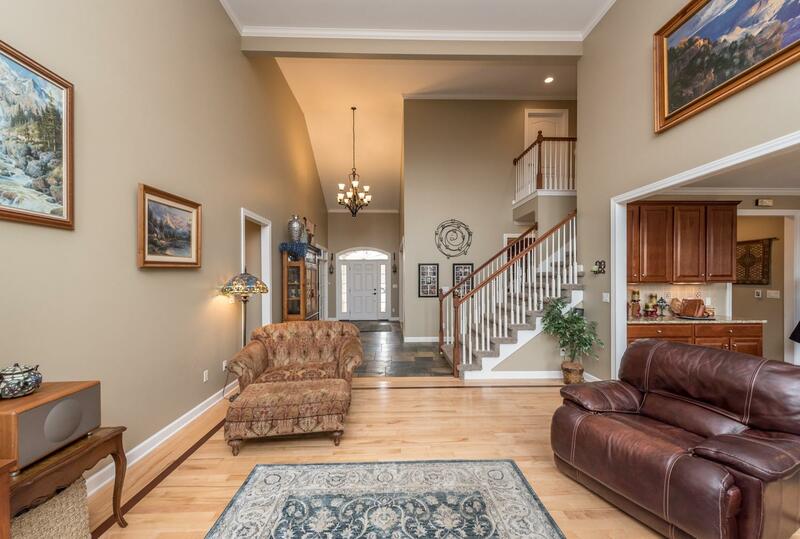 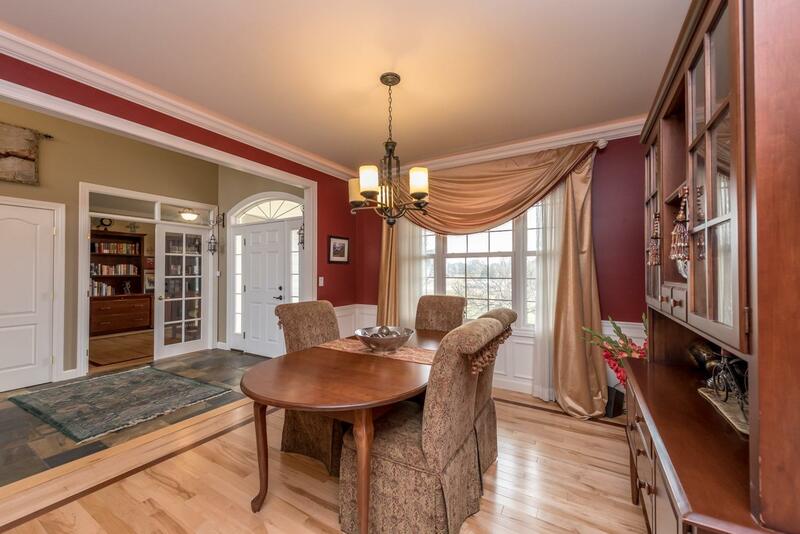 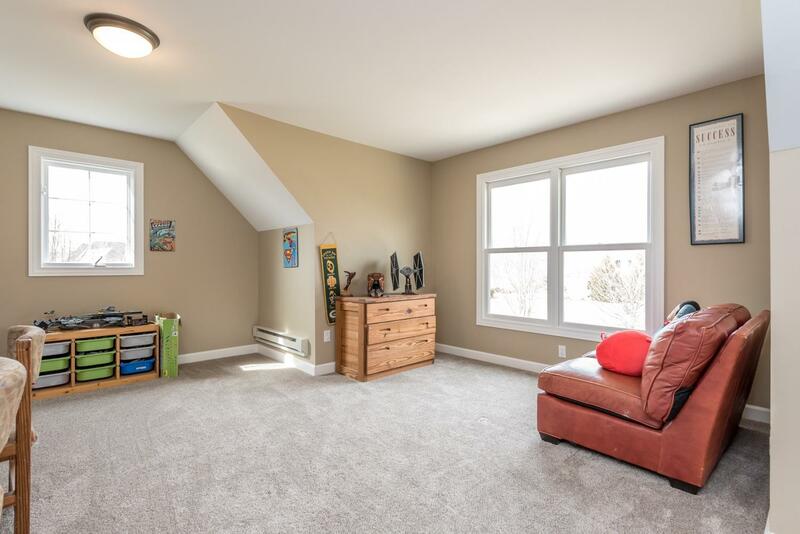 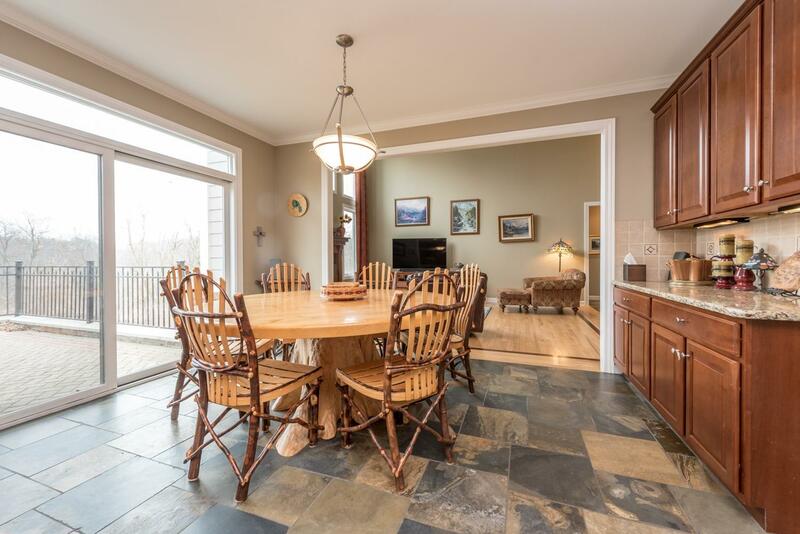 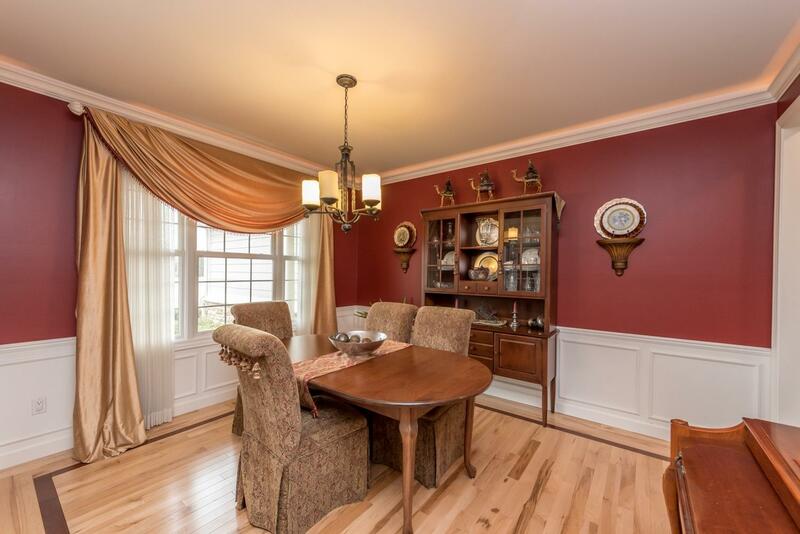 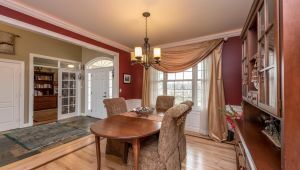 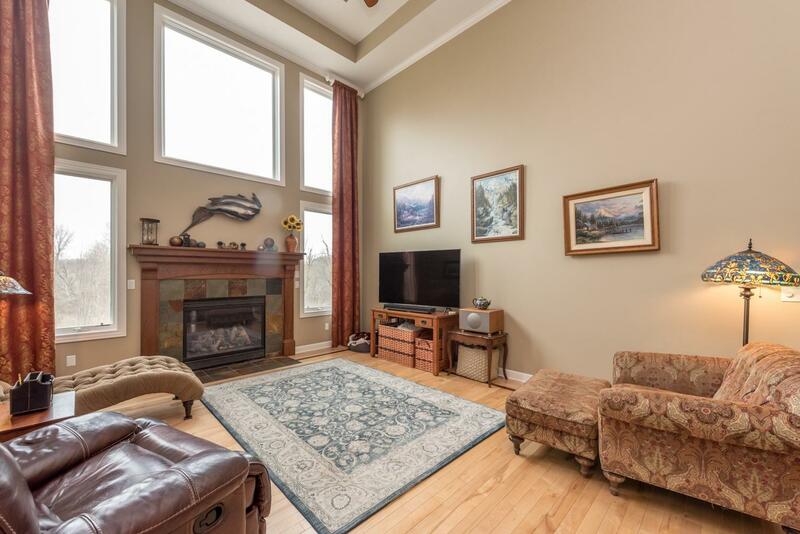 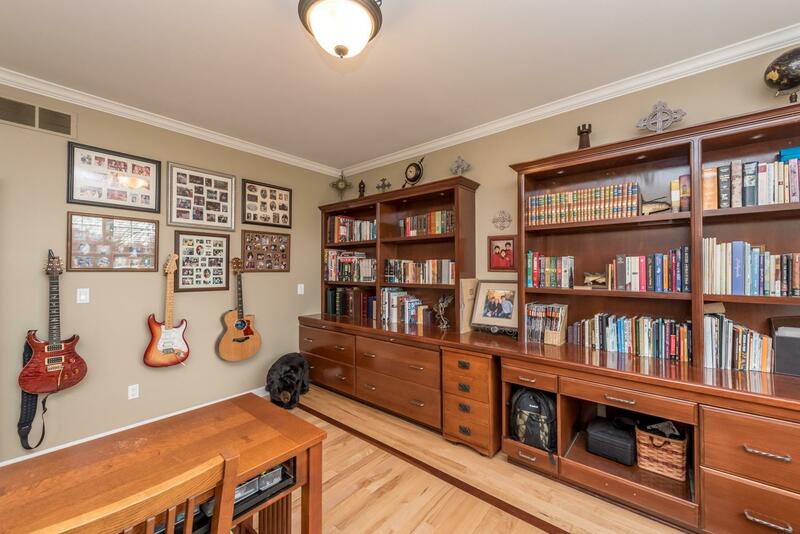 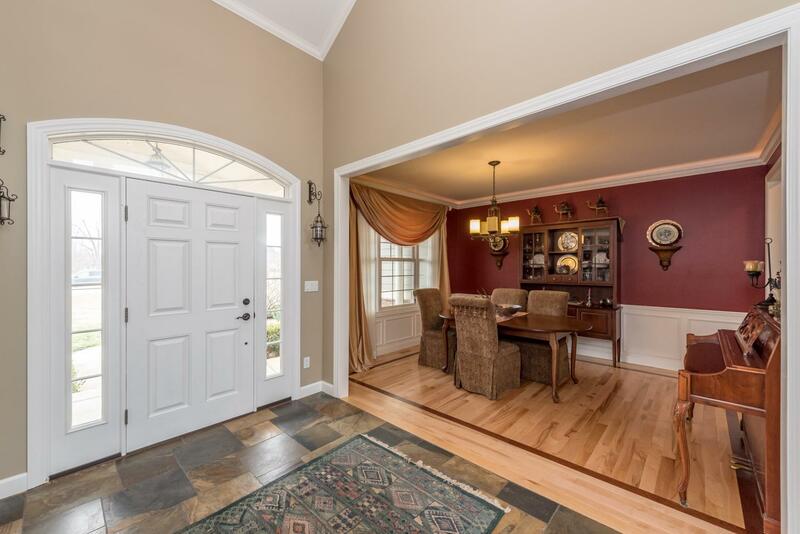 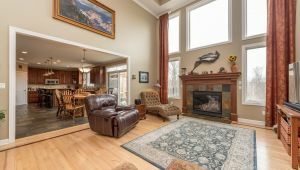 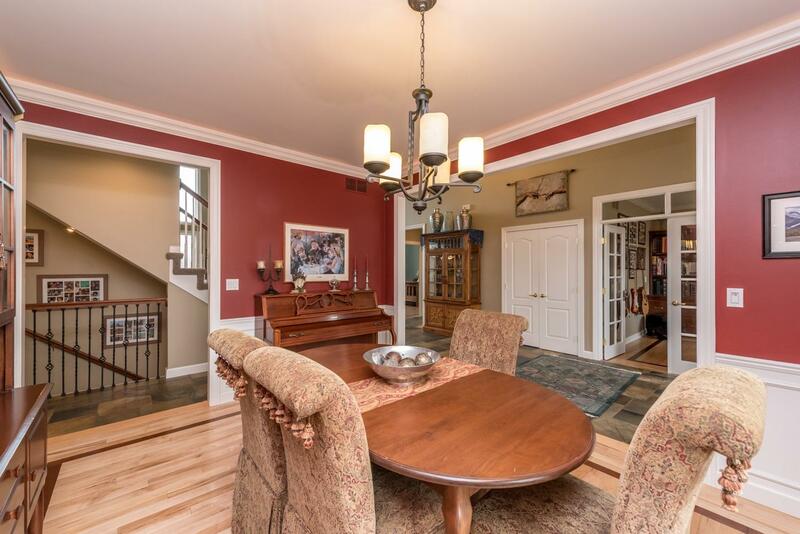 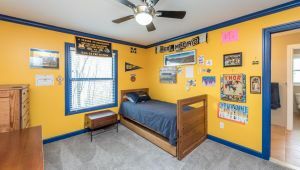 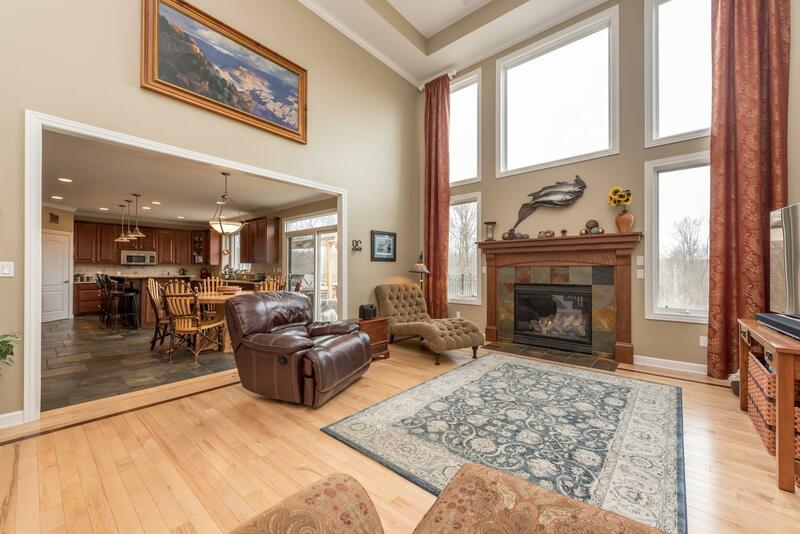 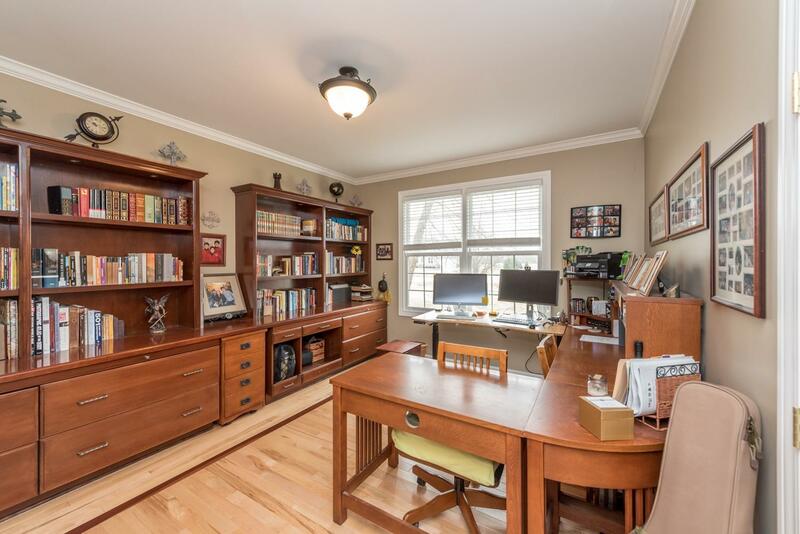 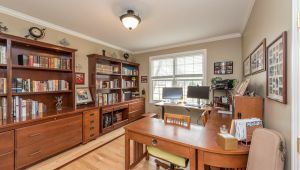 This home is loaded with upgrades-hardwood floors, crown, wainscot in dining, office with built-ins & french doors. 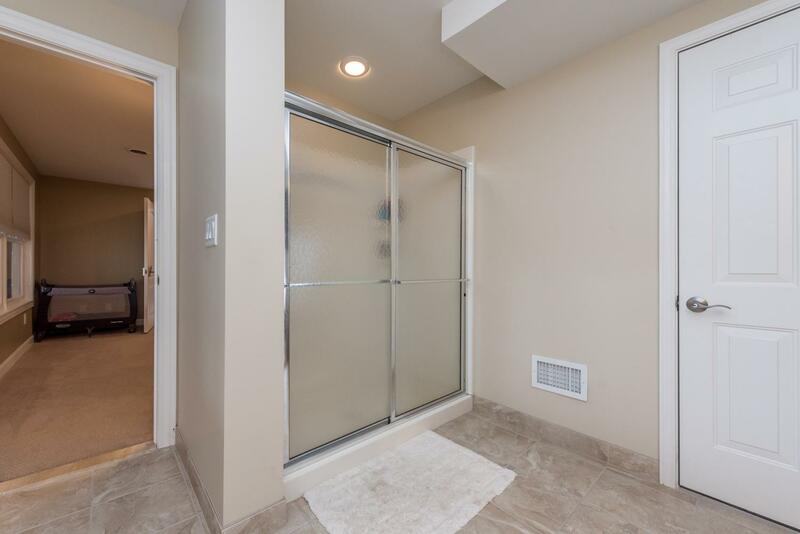 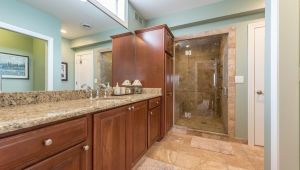 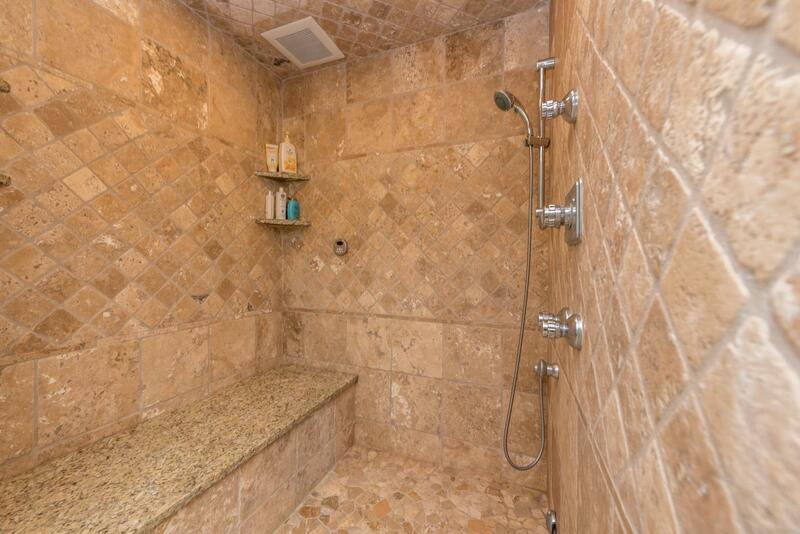 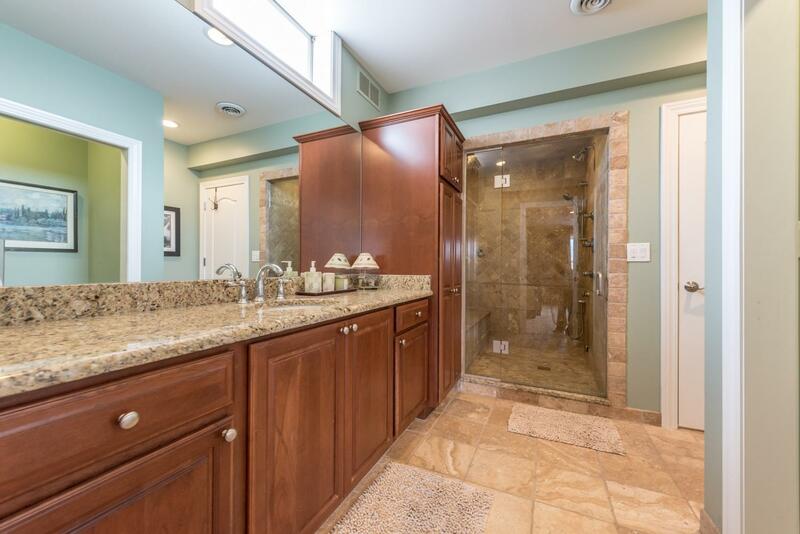 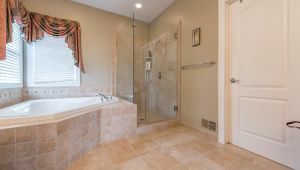 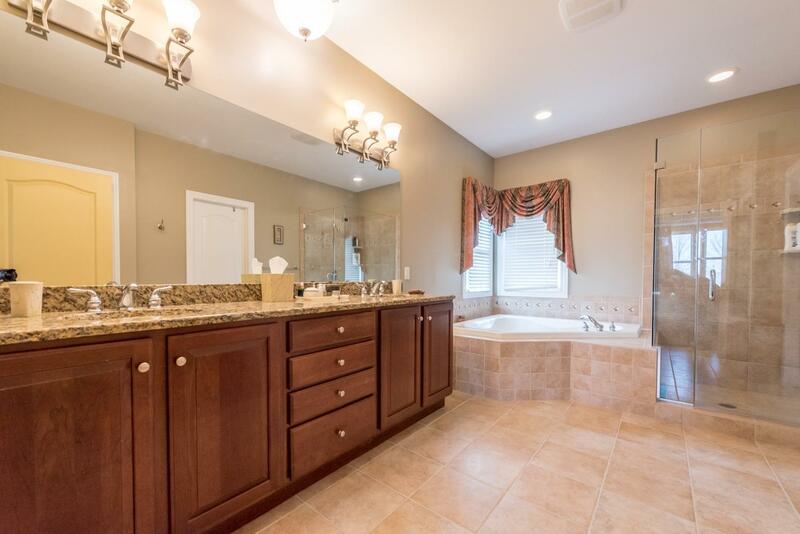 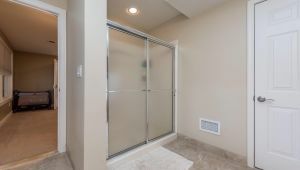 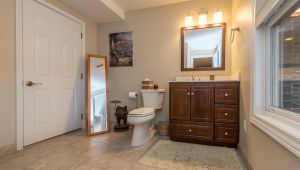 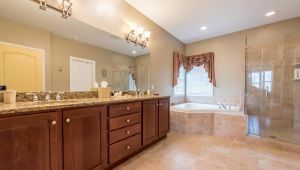 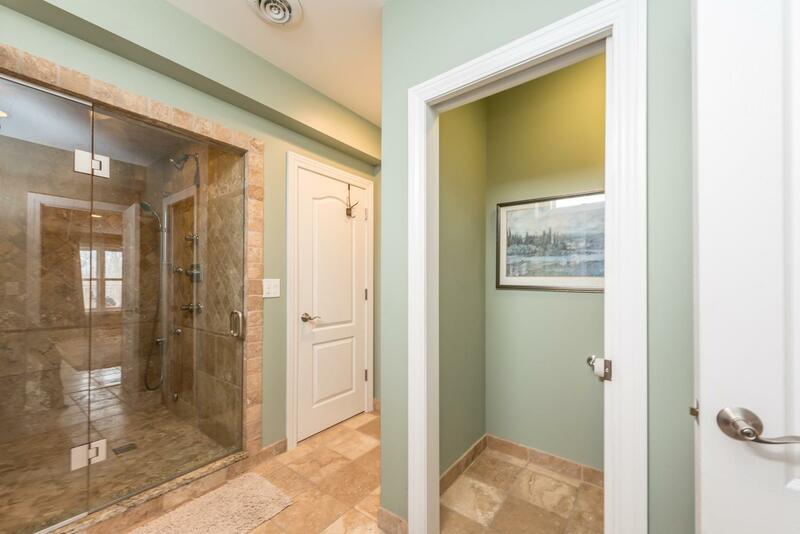 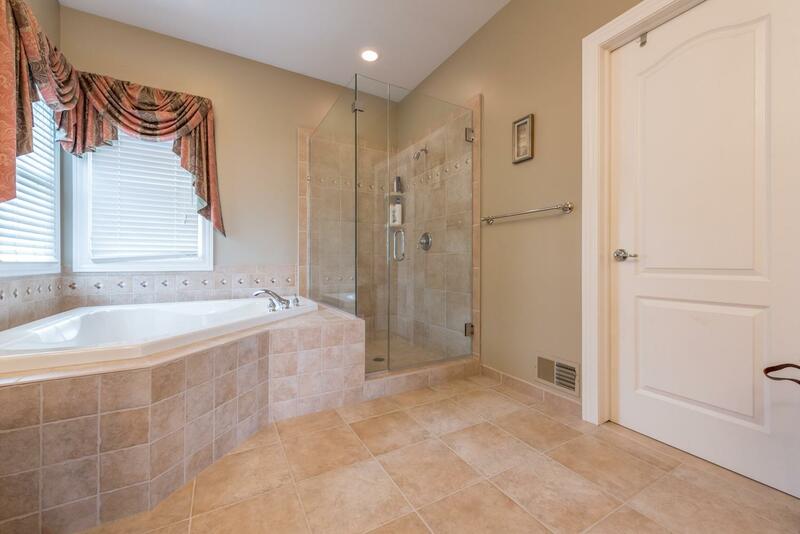 Lrge master suite with tub & tiled shower w/euro door. 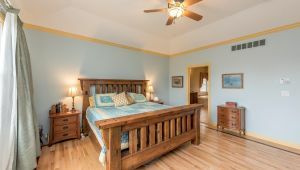 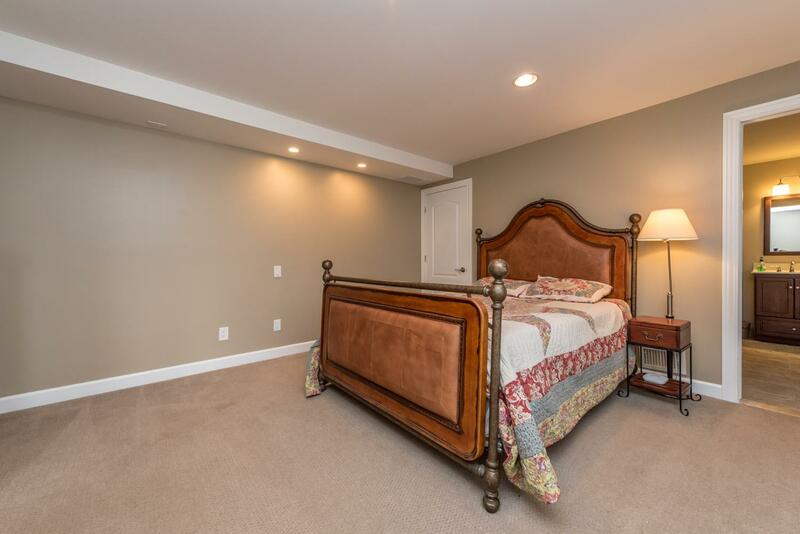 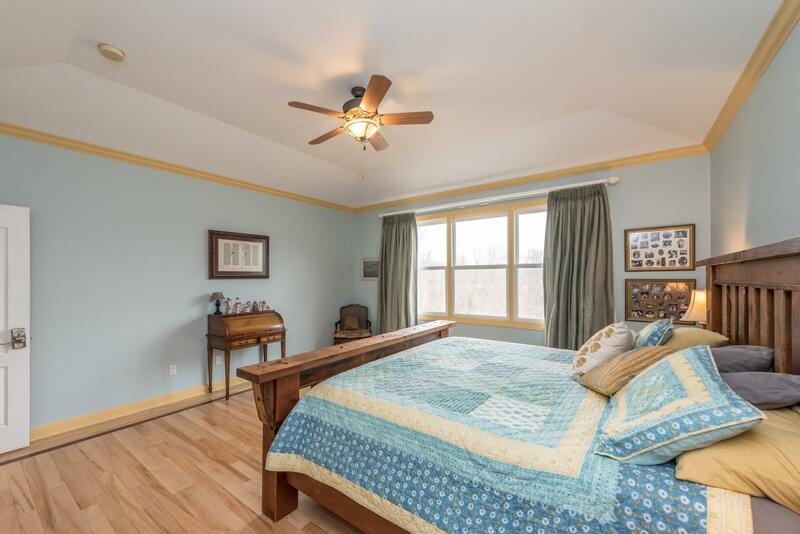 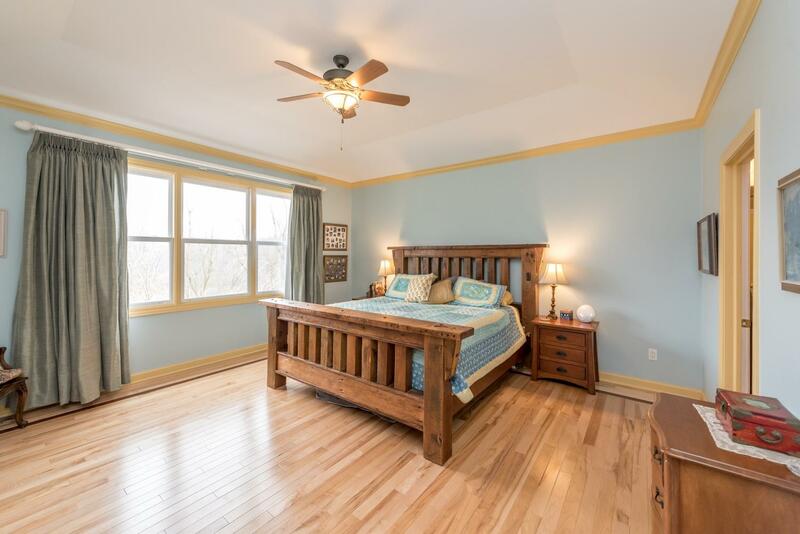 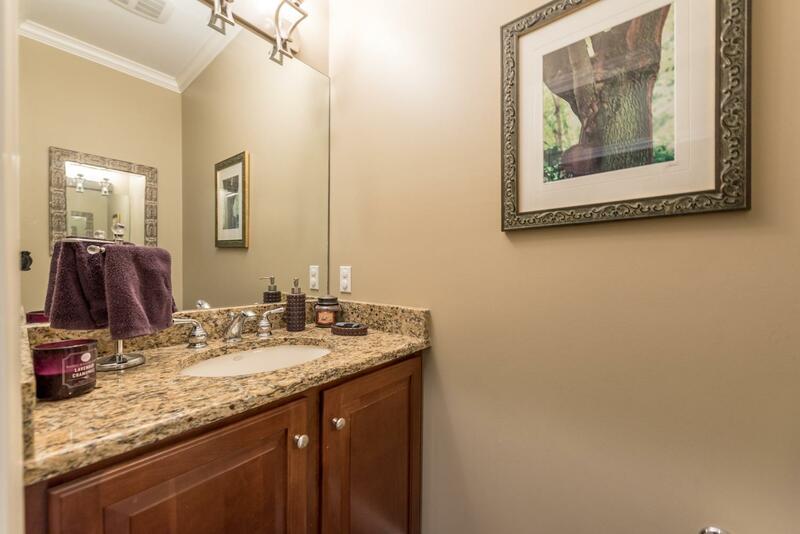 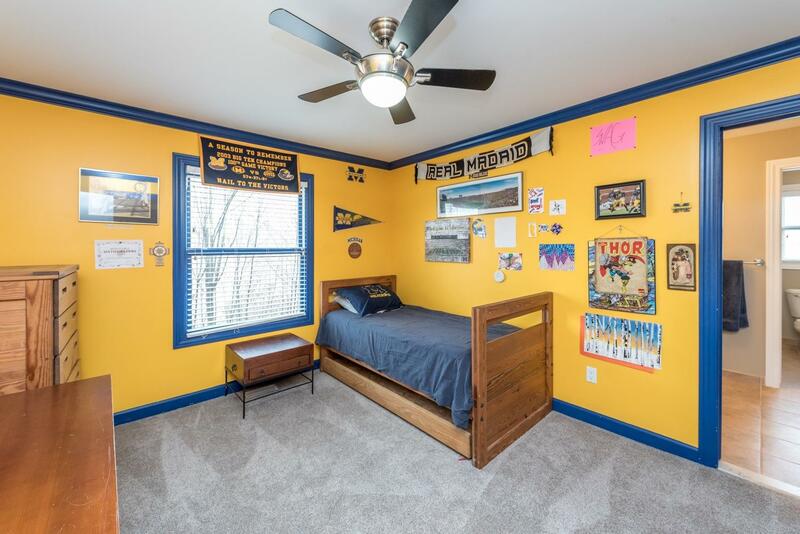 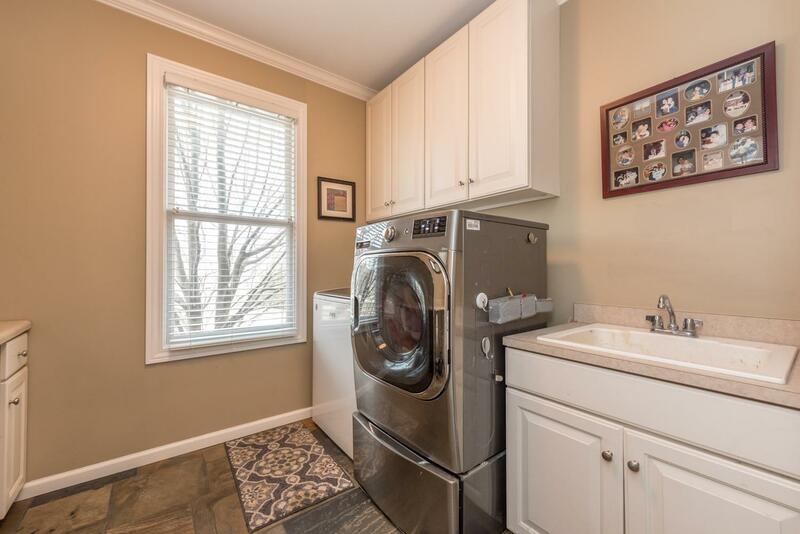 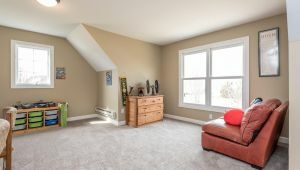 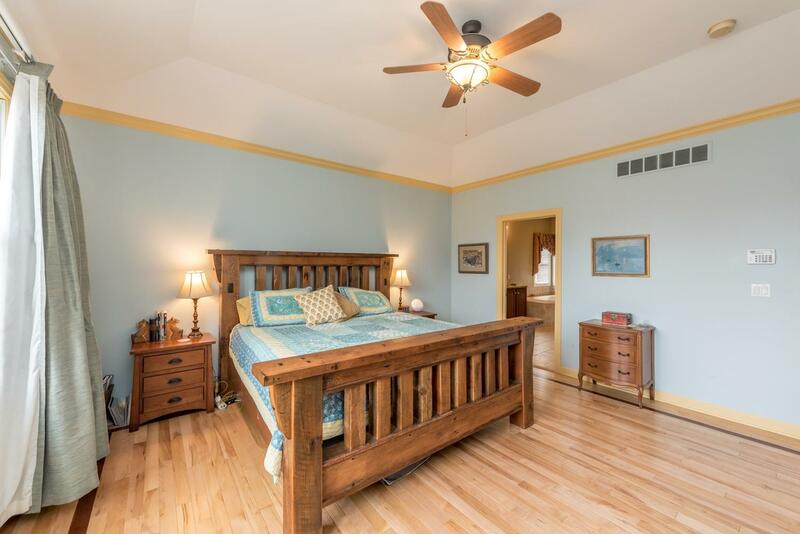 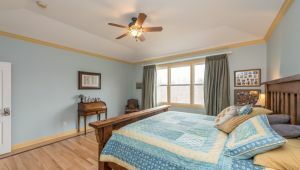 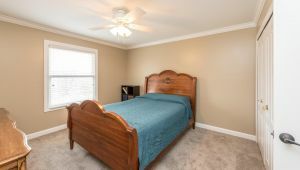 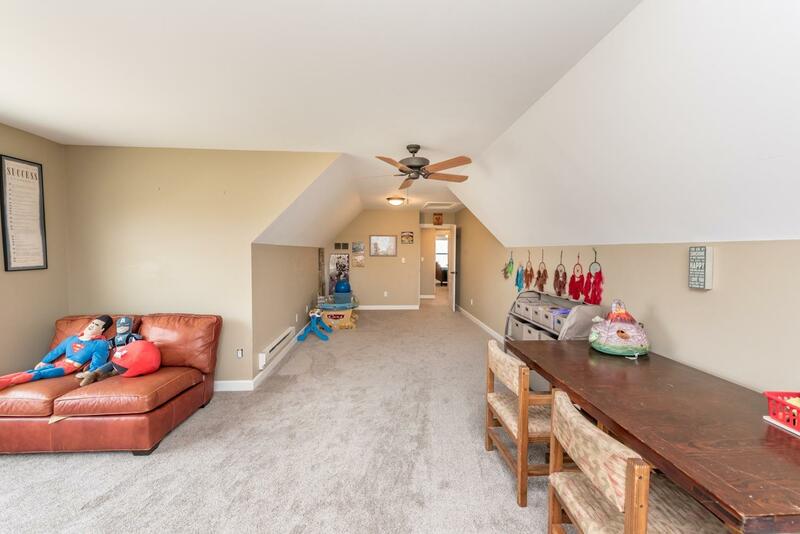 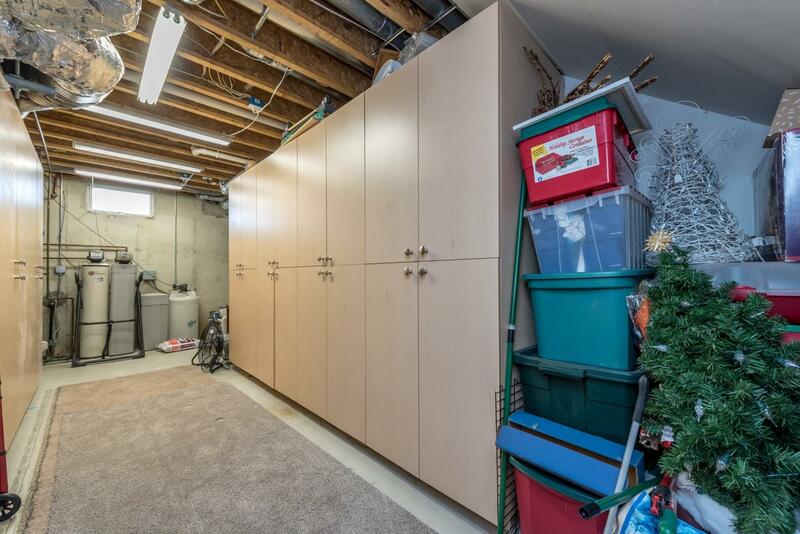 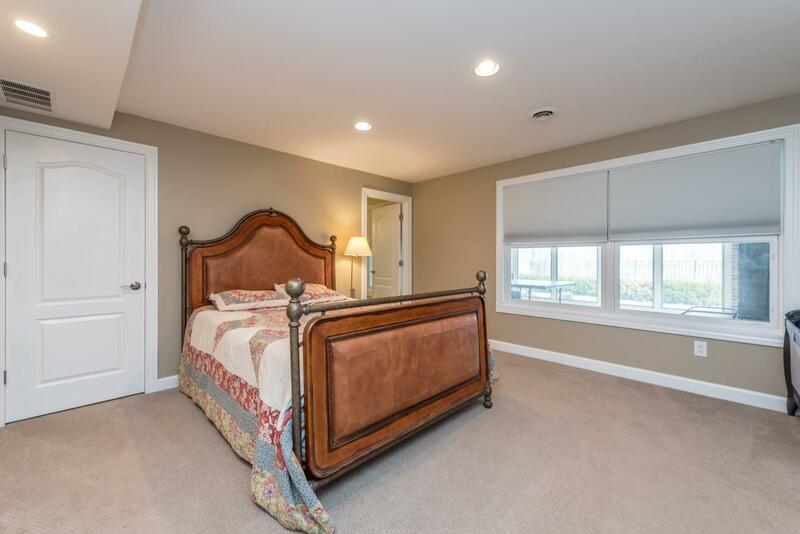 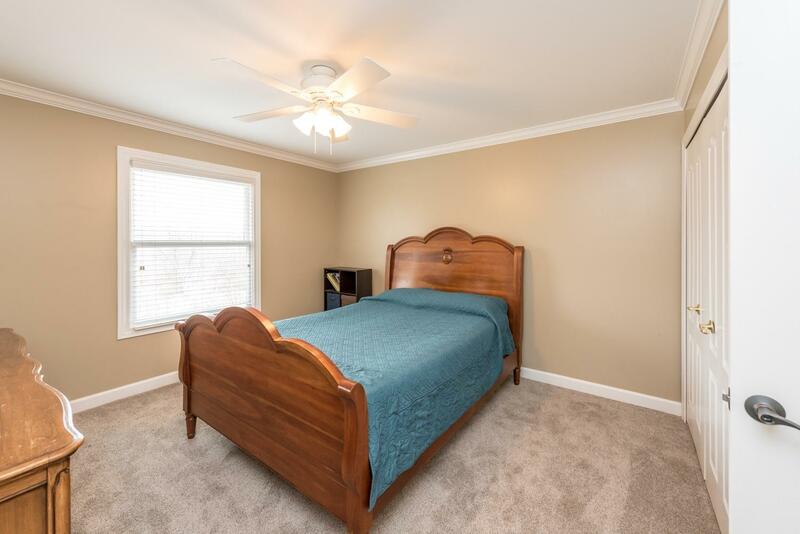 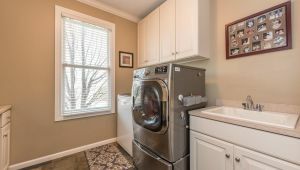 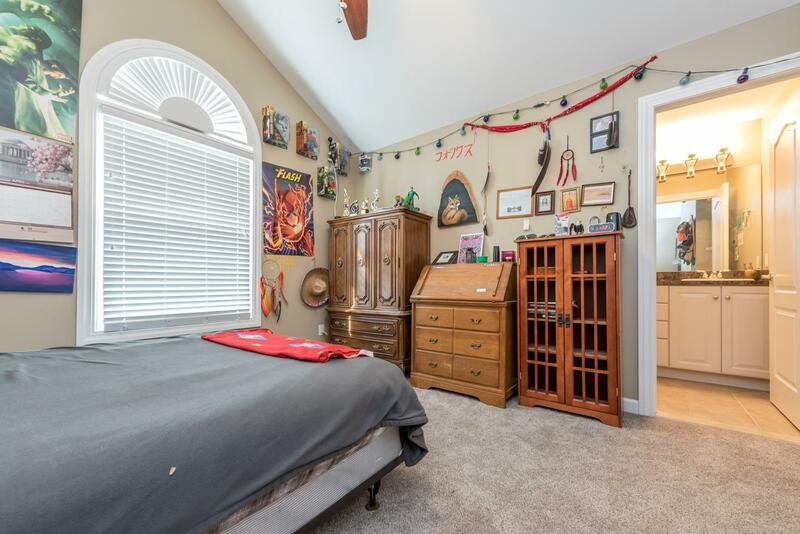 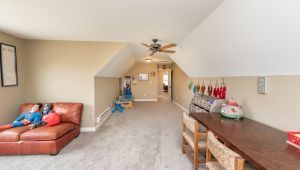 3 lrge bedrooms upstairs, all with direct access to baths, plus an oversized bonus room. 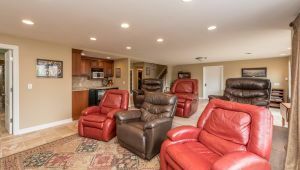 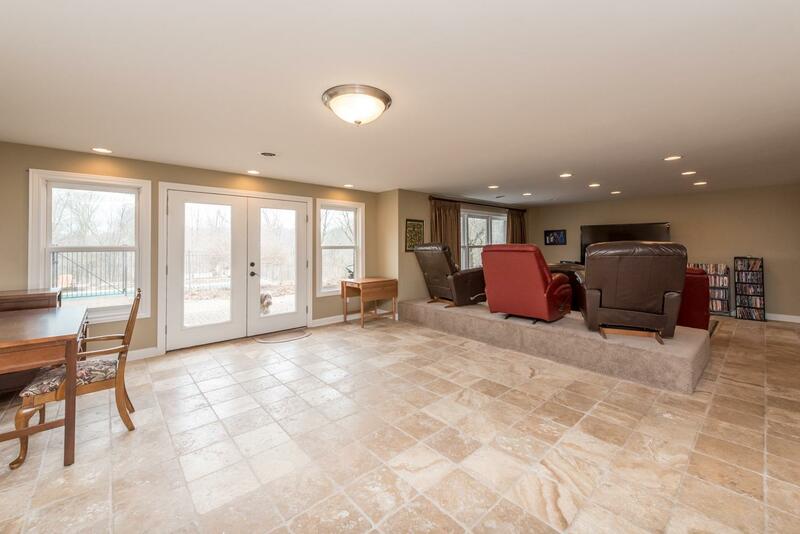 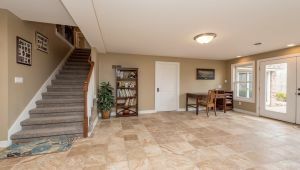 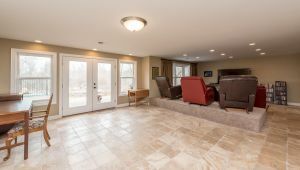 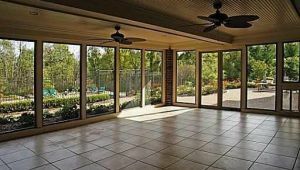 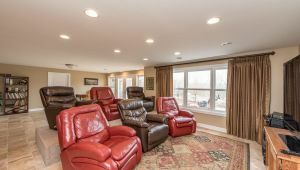 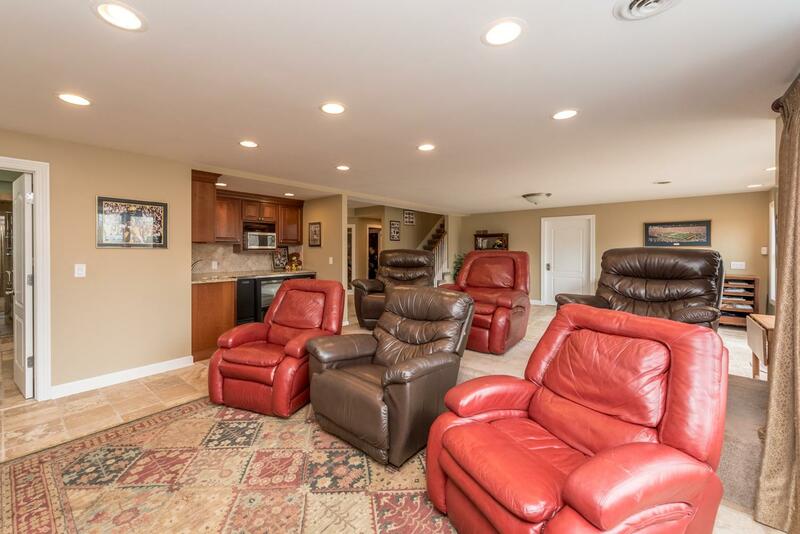 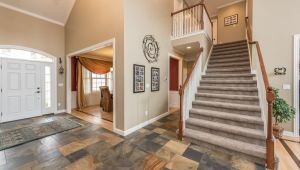 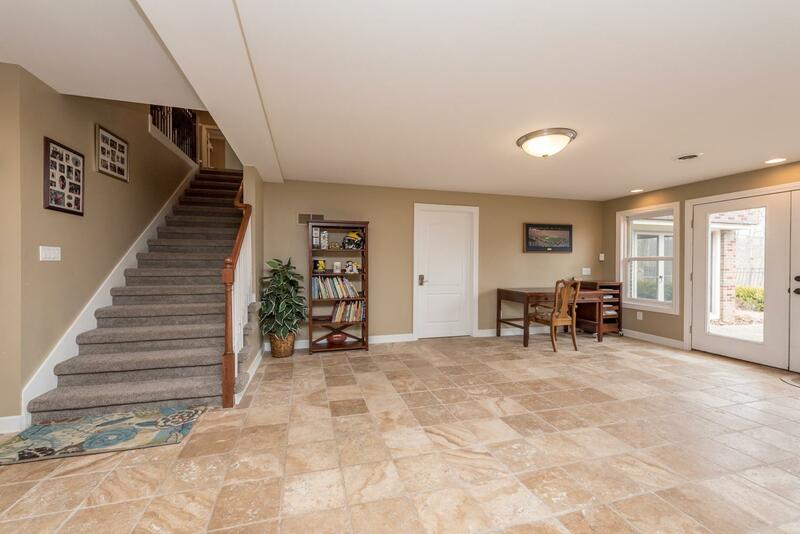 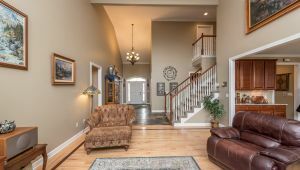 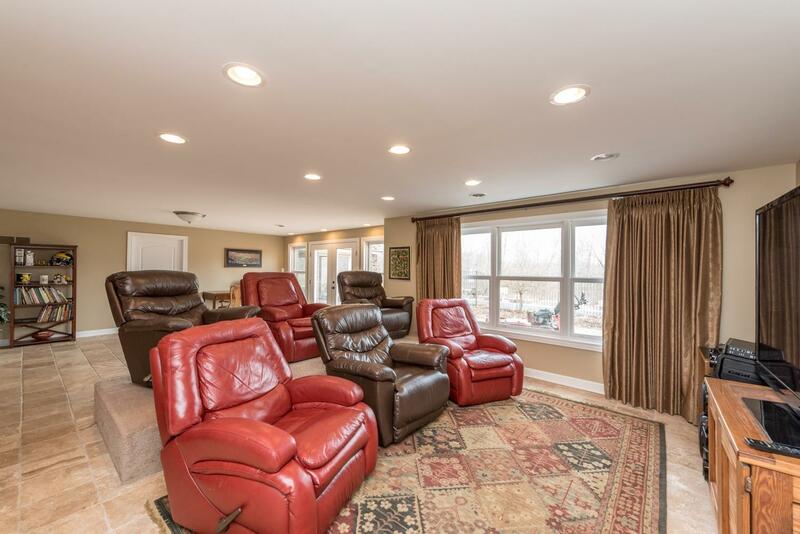 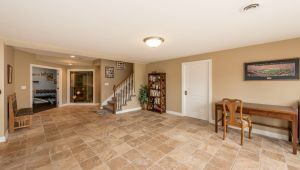 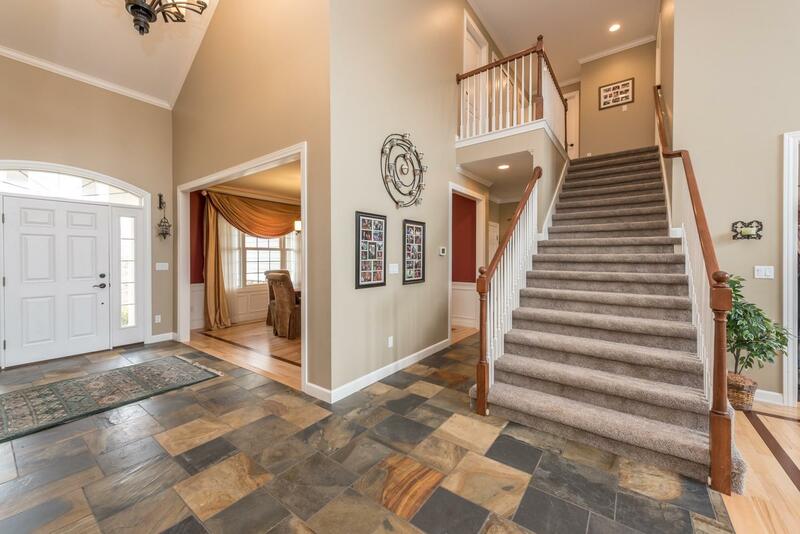 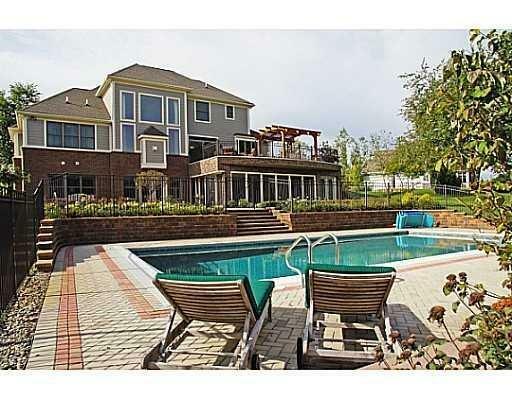 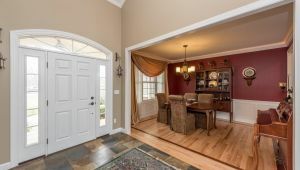 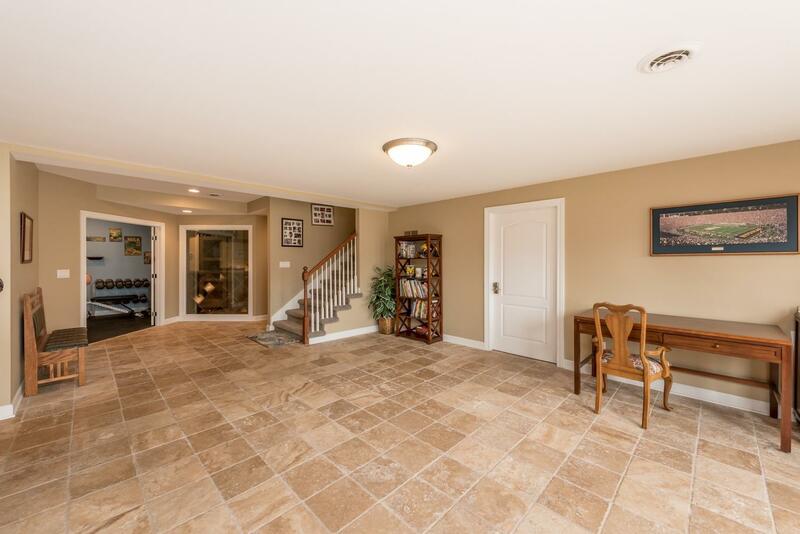 Finished walkout L/L has a wet bar, theatre area, and rec room with travertine floors. 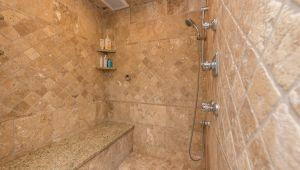 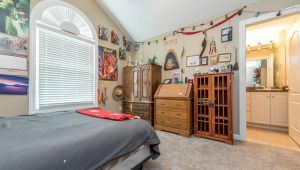 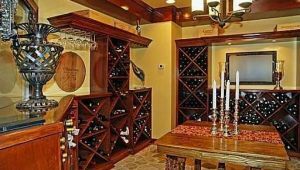 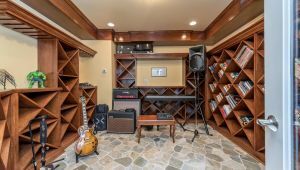 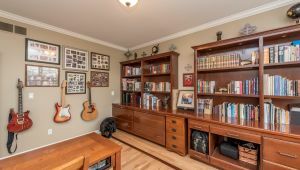 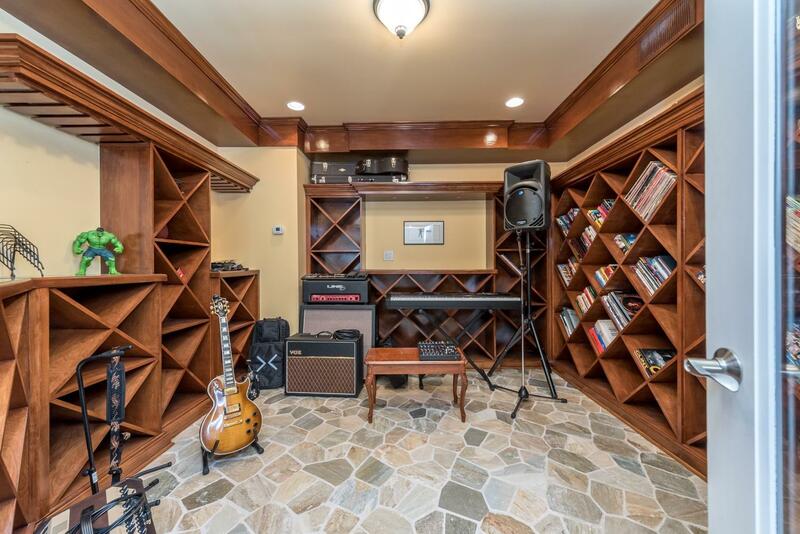 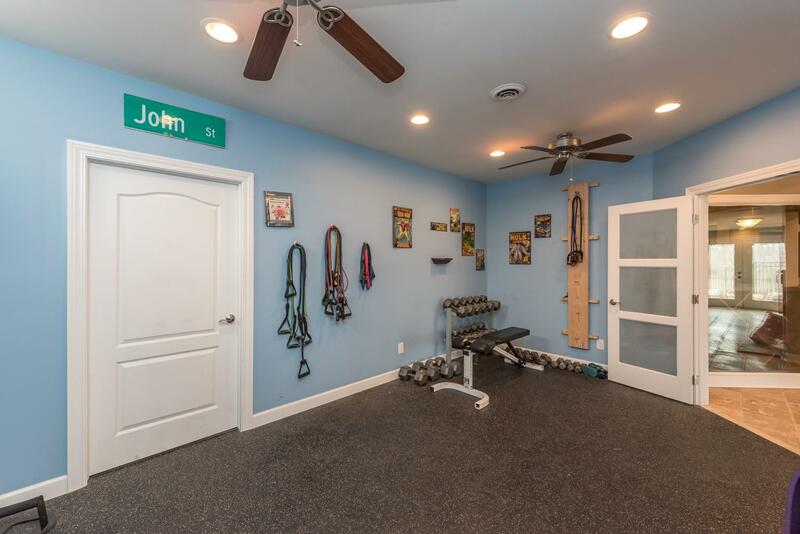 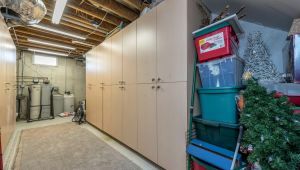 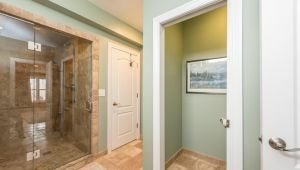 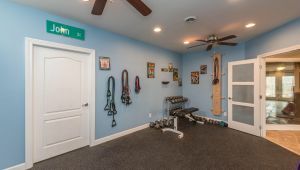 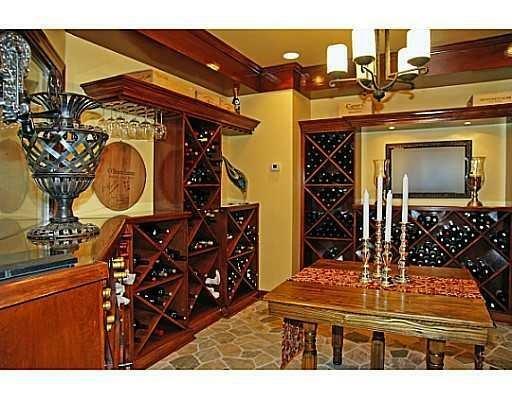 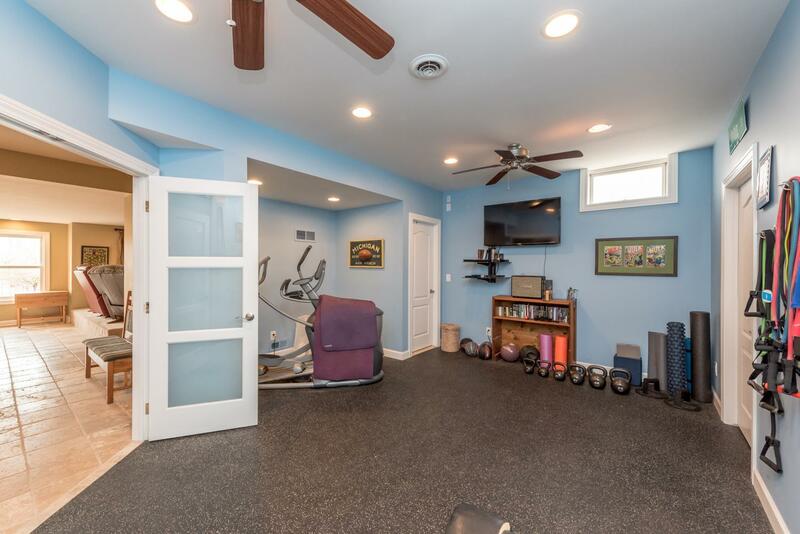 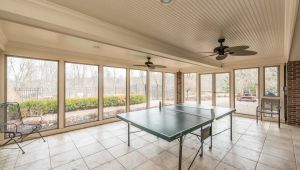 1500 bottle wine cellar (currently used as a music studio), workout room with direct access to the steamer/shower full bath. 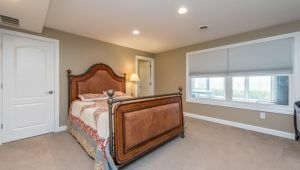 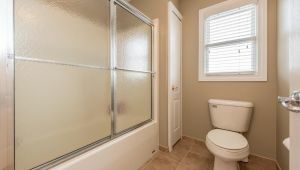 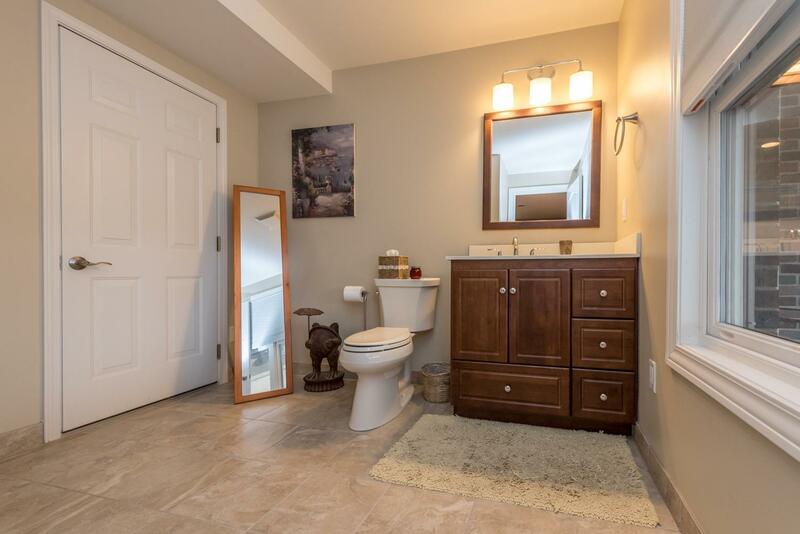 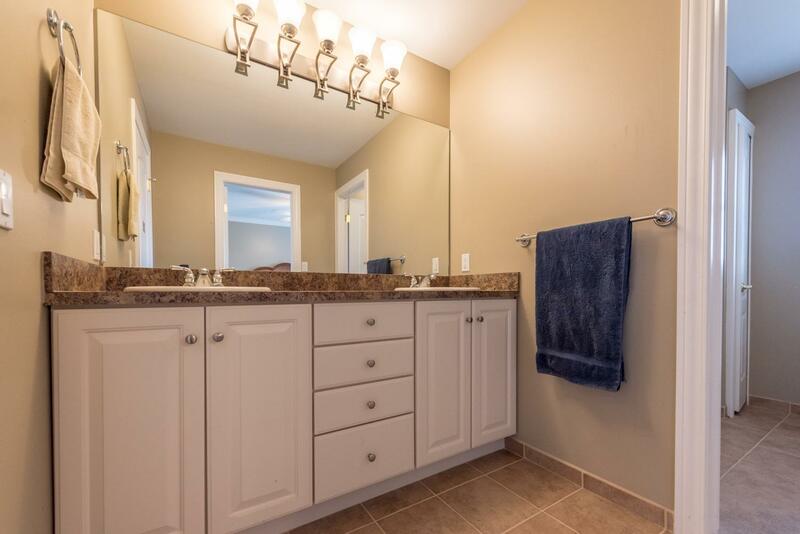 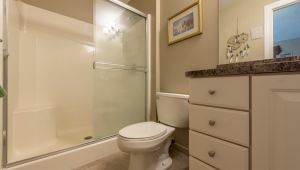 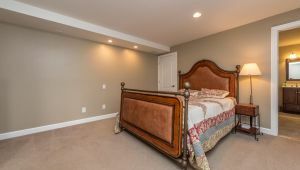 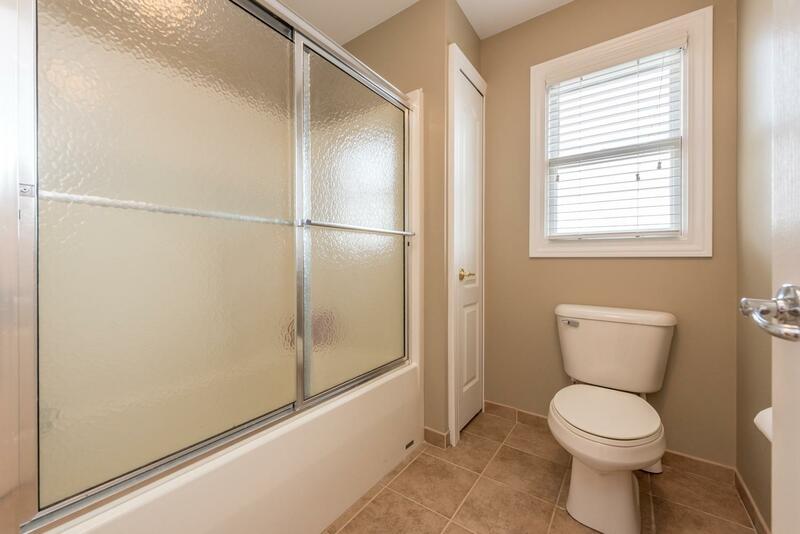 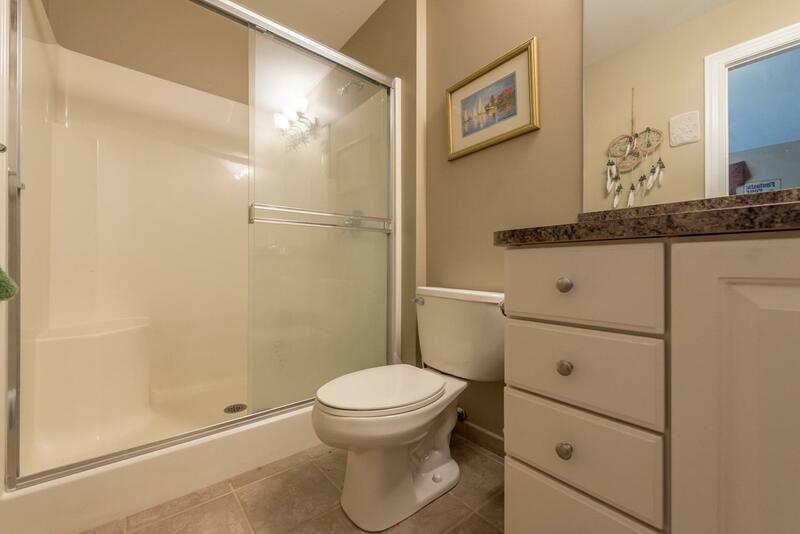 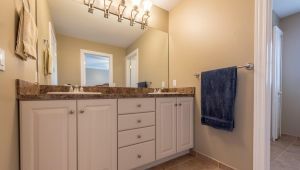 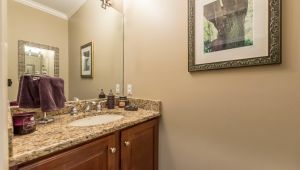 5th full bedroom with it’s own bath is perfect for your guests or inlaws. 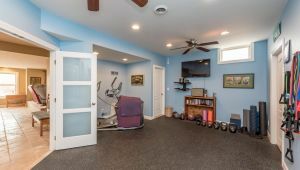 3 car garage & generator. 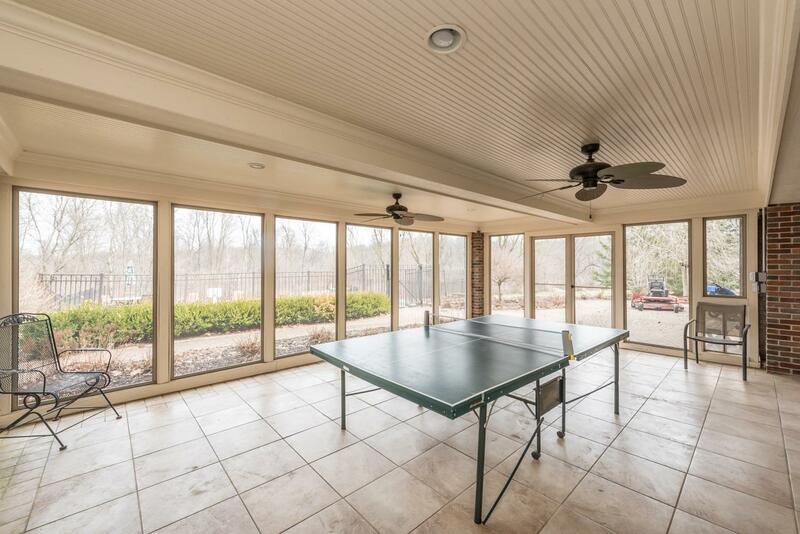 Outside you’re all set for family fun & entertaining. 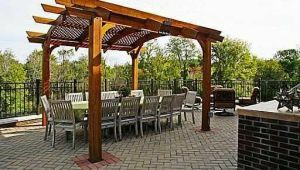 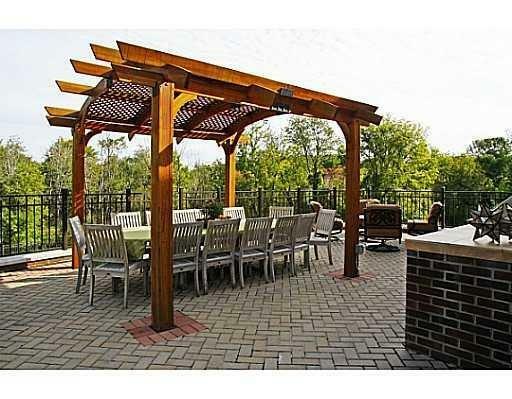 Take advantage of the outdoor grill/serving space, and seating under the pergola on the upper paver patio. 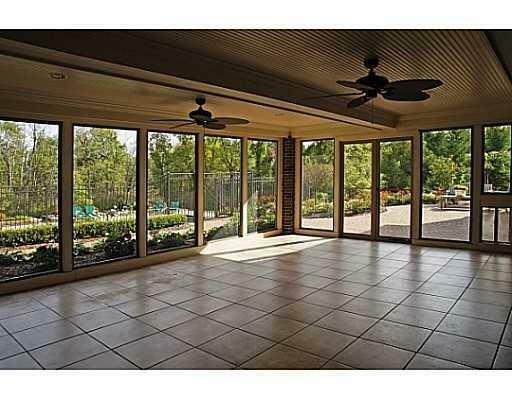 Head down to the in-ground pool for a swim, or sit inside the Florida room to avoid the bugs. 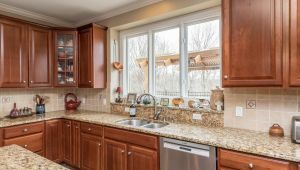 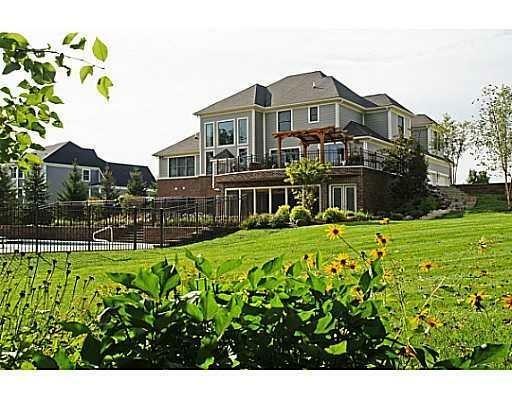 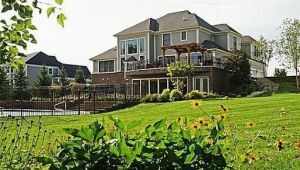 Enjoy the beautiful views overlooking the Pinckney Rec area, walk the trails, or head to Hudson Mills and Silver Lake.